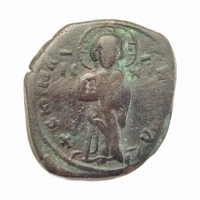 AE centenionalis, struck by Vetranio, Siscia mint (Sisak, Croatia) in 350 AD. Obverse: Bust right, wearing pearl diadem, between A and star. Legend: DN CONSTANTIVS PF AVG. 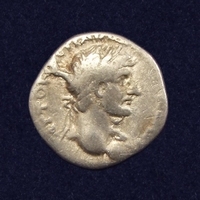 Reverse: Emperor standing left, hoding labarum (Chi-Rho) in each hand, star above his head, A in left field, .ASIS. in exergue. Bronze Centenionalis coins were introduced by Constans and Constantius II in an attempt to reintroduce large bronze coins. 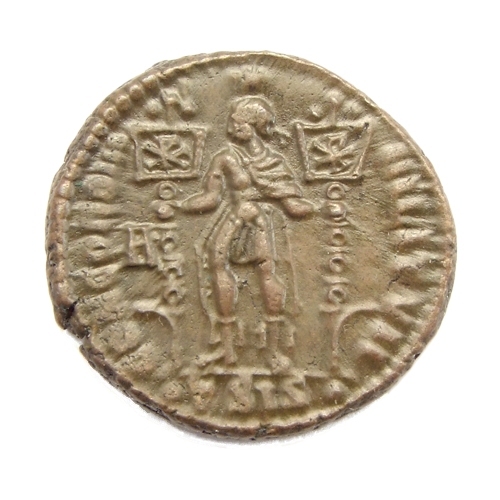 By the end of Theodosius the Great only smaller varieties of bronze coins were minted. 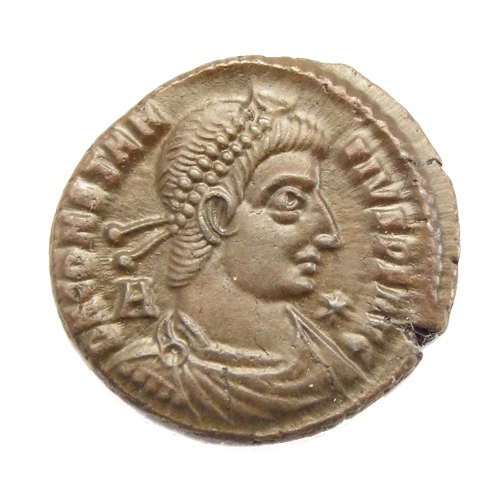 In 350, Vetranio was asked by Constantina, sister of the Roman Emperor Constantius II to proclaim himself Caesar. He was instrumental in keeping the rebellion, led by Magnentius under control. Throughout his brief rule, he maintained that he was only acting in the interest of the ruling dynasty of Constantius II. After 10 months Vetranio formally abdicated in favour of Constantius II and retired from public life. He was allowed to live the remainder of his years in Bithynia. 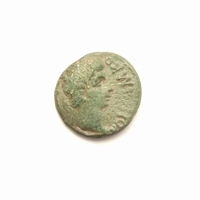 The coinage of Vetranio was all produced at the Balkan mints of Siscia and Thessalonica. Substantial issues were made in the name of Constantius II. 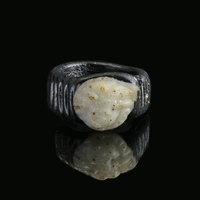 The reverse legend CONCORDIA MILITVM symbolizes the commitment of this Emperor to maintain peace.